Dr. Dre isn't the only musician to collaborate with Beats on projects deeper than one-off headphone models. 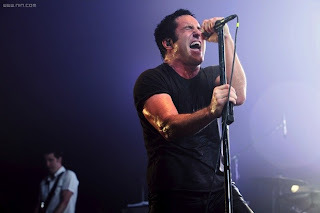 Nine Inch Nails and How To Destroy Angels creator Trent Reznor tells The New Yorker that he and Beats are developing a streaming music service, codenamed Daisy, that should go beyond just automatically suggesting related songs like with Pandora. Alongside algorithm-based picks, Daisy should introduce "intelligent curation" from humans to make musical connections that wouldn't otherwise take place. We'll know more when the service goes live early next year; we're presuming the recommendations will involve more than just another spin of The Downward Spiral.